Article first published as iPad Case Review: SofShell for iPad 2 on Blogcritics. The next time you're taking a ride in your Porsche 911 and accidentally leave your iPad on top of your car like we've all done with a cup of coffee, rest assured as your $500 tablet will still be there when you're done with your trip to the store. 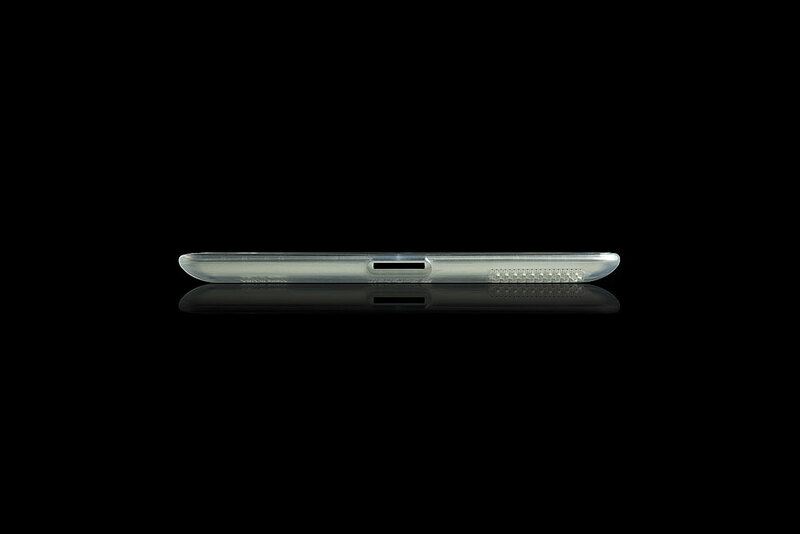 So says the folks at SofShell, makers of this unique case for Apple's iPad. I recently tested one of their products and although my Porsche happened to be in the shop during testing, I could tell that my iPad wasn't going anywhere when it was snugly held in the SofShell. More thoughts after the jump. Available in both Smart Cover compatible and non-compatible versions as well as an original iPad case (note: it's not one size fits all with these cases), the SofShell is a crystal clear skin that's made from a proprietary (in other words, top secret) elastomer (chemical speak for a polymer that's akin to rubber). Slipping the cover onto my iPad 2 was easy, though the company graciously provides videos for those that need assistance with installation. Those that legitimately worry about the iPad slipping out of their hands during usage will feel comfortable knowing that the SofShell is ultra grippy. I felt like I had just covered the back of my iPad with fly paper, only without the fragrant poisonous chemicals. This iPad was not leaving my hand anytime soon, unless I wanted it to. The downside of course is that the case is bound to pick up dust, hairs, and other such specks. Additionally, what this means is that when not in your hands, your iPad will not slip, even on angled surfaces (claimed to be up to 70 degrees). You also get a fair amount of shock protection for those that fumble with their devices a bit. This can be a great accessory for parents as their little ones inevitably get their hands on the iPad and you want some assurance that the device can withstand some bumps and bruises. Fitting the machine like a glove but also giving the user access to all of the buttons meant that the case was well designed from the get go. Just remember that we're only talking about back protection here With that said, SofShell may be well marketed as a supplement to the Smart Cover, since Apple's accessory only protects the front. 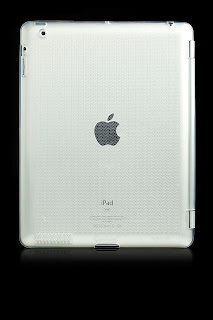 SofShell sells its case for the iPad, iPad 2, and iPad 2 (for use with Smart Cover). They are all currently priced at $49.50 on SofShell's website.